Hello friends. Today’s the day so many have been waiting for. 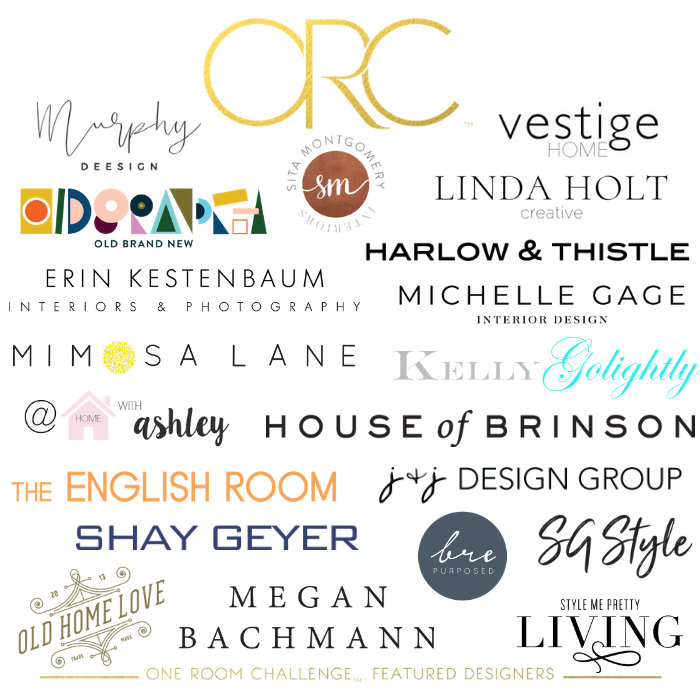 It’s the kick off of the One Room Challenge Fall 2018. 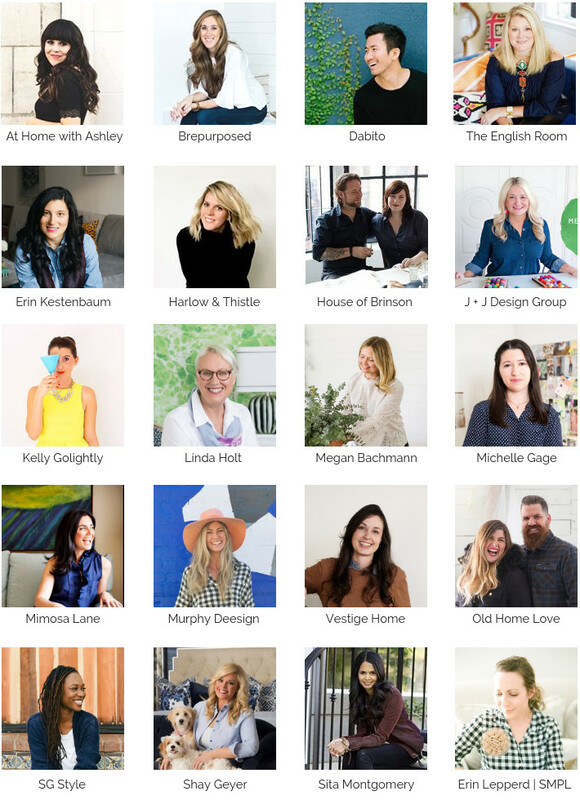 This is the day that twenty featured designers commit to transforming a room in six short weeks. Tomorrow, hundreds more join in on the challenge and “link up” as guest participants. For those of you joining in for the first time, the ORC was started by Linda Weinstein in 2011. Linda challenged a small group of her online blogging friends to transform a room in their home in six weeks. Well fast forward to today and the ORC is a bi-annual event with national sponsors, hundreds of participants and millions of followers. It truly has become “THE” online design event of the season. It’s a crazy wild ride and I am so thrilled to be a part of it once again as one of the twenty featured designers. Since many of you might be new to this blog, let me do a mini introduction. I am a residential interior decorator and blogger, living just outside of Boston. 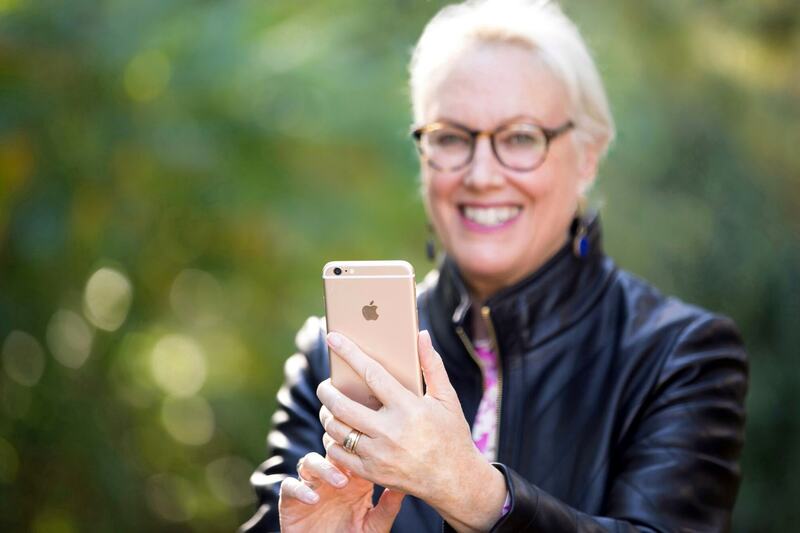 I was a professional photographer for twenty five years before I decided to pursue my life long passion of interior design. Today I split my time between designing for clients, blogging about design and sharing my passion for iphone photography. I love color, pattern and art and if I could make a living by traveling the world I would sign up in a heart beat! A little over five weeks ago, my husband and I moved into a new construction condo. We had downsized about eighteen months earlier and had been living in a small apartment while we searched for our new home. Our wait paid off and we lucked out with a new build condo close to Boston. When we signed the purchase and sales back in April it was just a hole in the ground. We are finally moved in but far from settled. There has been no decorating and we only recently finished emptying out a storage unit. I hate to admit it but we are still surrounded with boxes and clutter. Without the deadline of the ORC I know I would drag my feet and it would be months or longer before we had a single room that was finished. 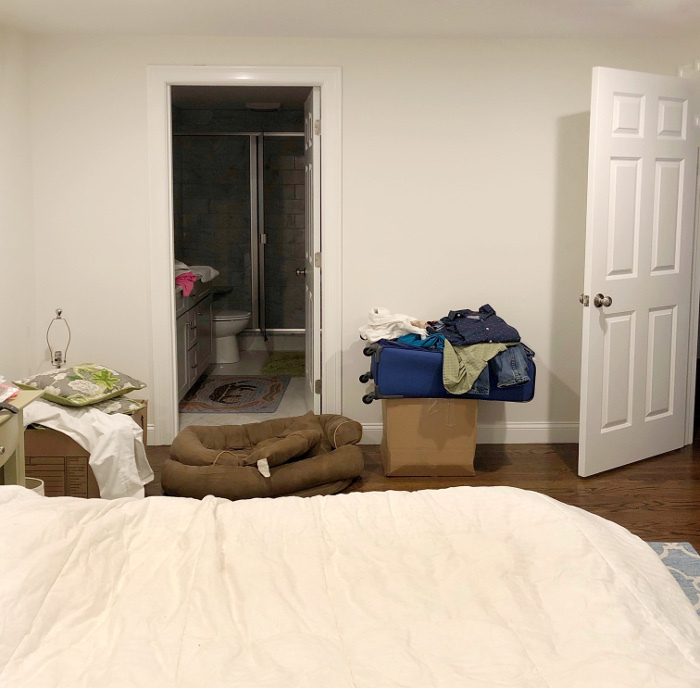 I chose to transform our master bedroom and adjoining walk in closet and master bath. I want one finished space that we can escape to and read, reflect or just sit and relax. This is what it looked like a few weeks back during the morning of our closing. 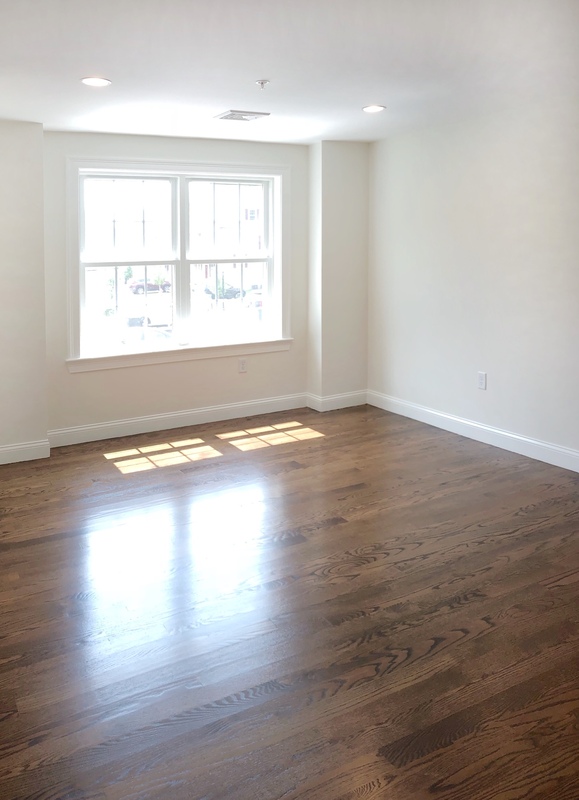 It is a nice size room and a blank slate with white walls and wood floors. This angle was taken while standing in the doorway. The room has only one window on the left side wall. The window faces South so we get beautiful, bright light all day long. To the right of the window wall is a looong featureless 18′ blank wall. The room is pretty sad at the moment. Actually, it’s way beyond sad, it’s downright embarrassing. 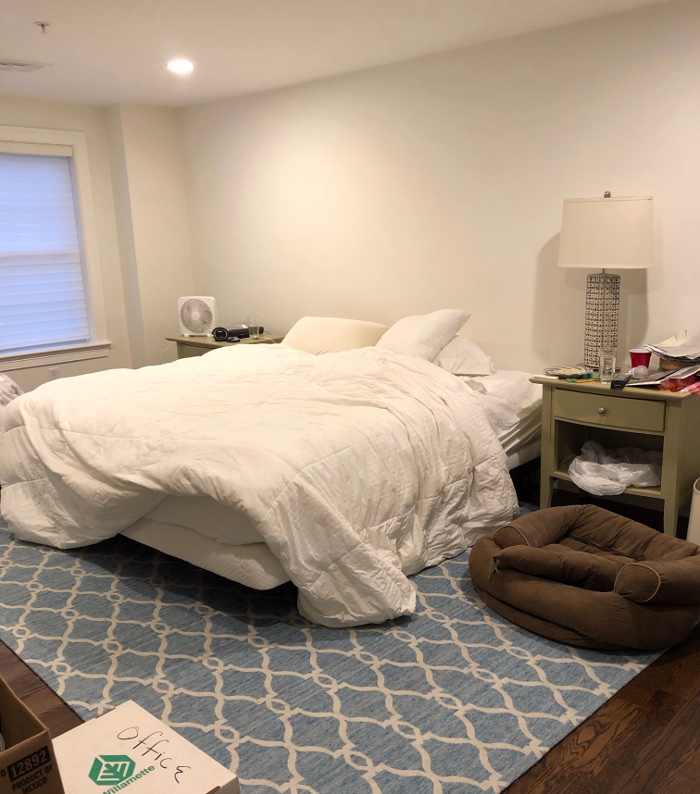 No style whatsoever; just the bed, two old side tables, a random lamp and a rug thrown down simply to protect the new floors. Oh yeah, there is also a heavy box of books that have no place to go and the dog’s bed. Opposite the window wall is the entrance to the small master bath. That suitcase you see has not been unpacked since the move because as you will soon see, there is no place for the clothes. I did my best to get our clothes in some sort of organized fashion but within a week it had degraded to this. 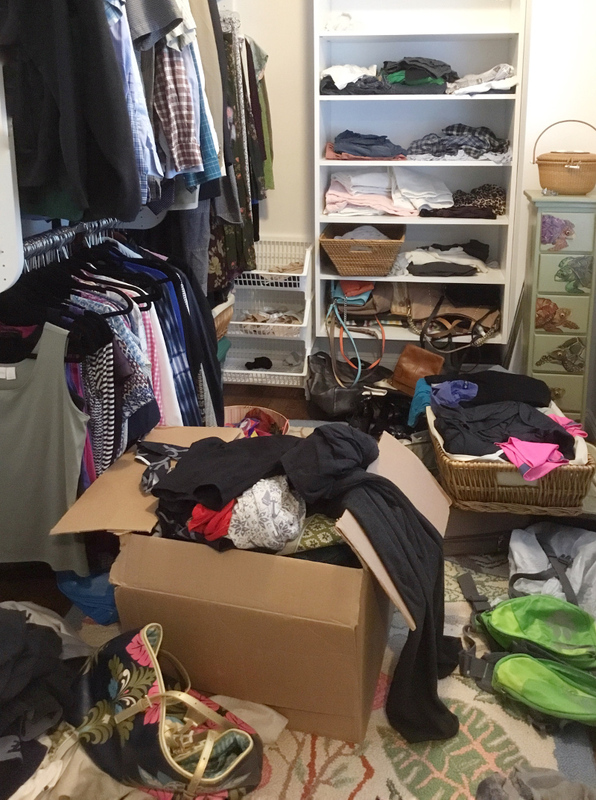 Again, I am mortified to be revealing this is the current state of my closet but equally excited to know it will soon be transformed. Although the master bath is not 100% to my tastes, it is fine. 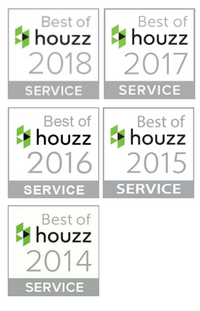 Since we “bought” a new build condo, and didn’t “build” a new condo we had very limited choices in finishes. Since it is brand new, my husband would NOT be on board with replacing tiles or counter top so it will stay as is. Even so, I do have a few cosmetic fixes planned. Since our new condo is located in a very public urban area, I knew we would need shades on the windows as soon as we moved in. Believing I was on top of things, I ordered “room darkening” shades several weeks before the closing. When I chose them, I didn’t know that a high powered security spotlight was facing directly into our master bedroom. The shades were no match for that bright spot light. Our first night there, the room lit up and glowed like a big white box. My resourceful husband took matters into his own hands and came up with this solution. He went into the garage and grabbed some drapery panels from our previous home that were tagged for donation. No, hardware, just the drapery pins balancing on the window molding…classy right?? It does however solve an immediate problem and will be one of the first things I address in the bedroom. Luckily for me, my husband is pretty easy going and defers to me when it comes to decorating decisions. Having said that though, after 35 years of marriage, I know what he likes and doesn’t. He doesn’t like anything “fussy”, glam or over the top dramatic. He likes clean lines and easy maintenance materials. The number one thing I know he dislikes are dark rooms. He likes light, bright and cheerful colors and like me, likes pattern. When I was thinking about how I wanted our bedroom to look and feel I thought about some of the favorite places my husband and I have stayed while traveling. My best memories have been small bed and breakfasts and boutique hotels. One hotel chain that is on my bucket list is the Firmdale hotels. They are designed by Kit Kemp and I am a huge fan of hers. 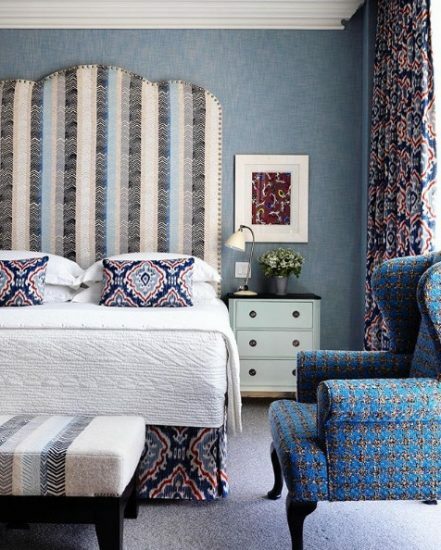 I love the way she mixes color and pattern while still maintaining the feeling of a cozy, comfortable space. They call her the “queen of the unexpected” and every room has a sense of that. 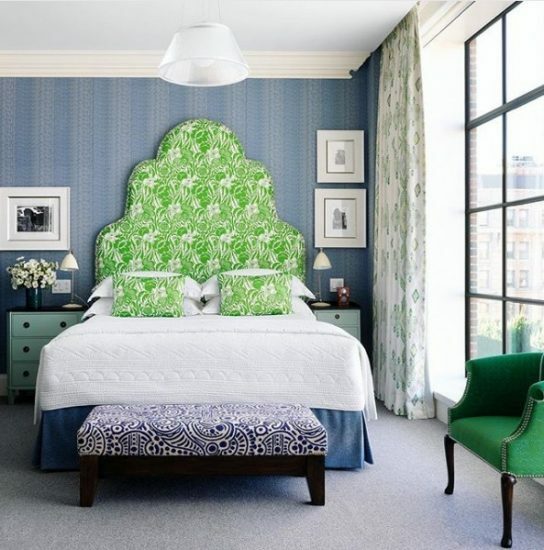 Her two signature design elements are statement head boards and wallpaper accent walls. I plan to have both of these elements in our master bedroom. I can imagine staying in any one of these rooms all weekend long reading, relaxing and hanging out. The main living space in our condo is contemporary. The living room, dining area and kitchen are all one big open space. 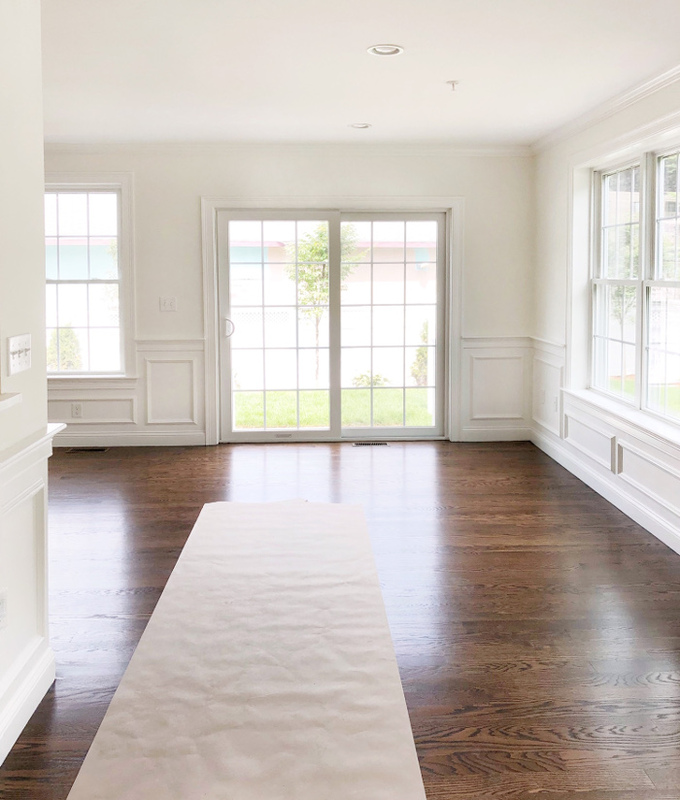 There are lot’s of big windows, white walls and medium brown hardwood floors. I plan to keep a minimalist, contemporary vibe on the first floor but in the master bedroom I want a place to escape and feel like I am in a cozy bed and breakfast or at some fabulous boutique hotel. Since the room is long and narrow with three doors there isn’t a lot of choice for furniture layout. What that 18′ wall allows me to do though is have plenty of room for our king sized bed (ironically we purchased it just months before we decided to downsize). 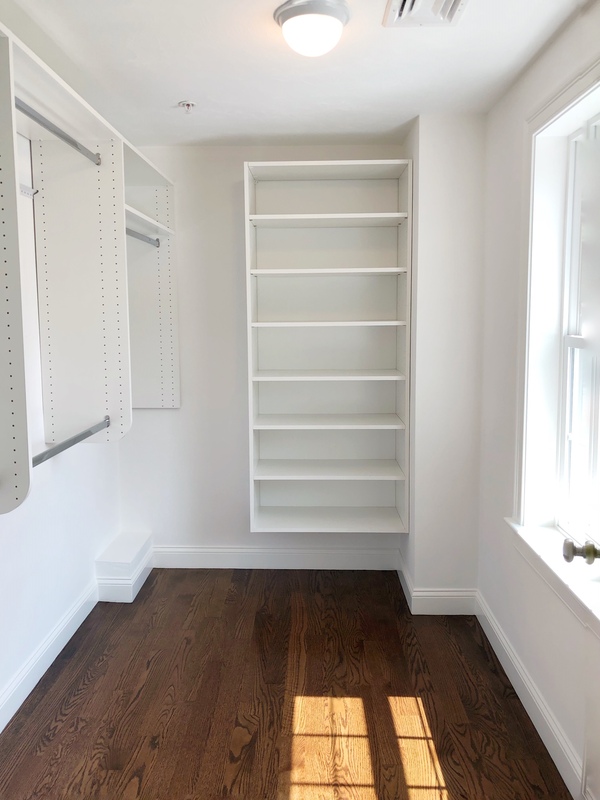 With the bed shifted down toward the bathroom there is space for a couple chairs and two slim bookcases for a reading area. Over the next six weeks this is my plan. Create a fabulous statement head board. This came as a complete surprise to me but since I was transforming the bedroom my husband decided he wants to rip out the existing builder closet system. He plans to install a more efficient unit that will work better for our needs. He had built a beautiful closet for us in our previous home so we know the luxury of having a well organized closet. This project is on him but of course I will be there to advise. Next week I will reveal my colors and fabric choices. It’s an unexpected palette for me but I’m stepping out of my comfort zone to create something “unexpected”. 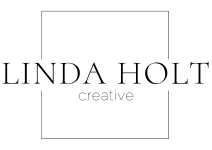 Last but not least, a huge thank you to Linda, who invited me on this journey and to Better Homes and Gardens for being this Falls media sponsor. Be sure to check out all the other participants and don’t forget tomorrow is the start of the link up participants. Thanks Veronica! I’m also excited to see what you do. I’ll be following along and cheering you on as well! Wow, Linda – that’s a big to-do list! I’m really excited to follow and am glad you’ll get to enjoy the fruits of your labor this time around for many years to come! Thanks Kelly! I am excited to do my own space this time. It will be a lot of work but at least I won’t have the added work of breaking it down once the reveal is over. Completely agree with your starting with the master suite to give you an oasis amidst the turmoil! First thing we did with our house, too. And I love the Kit Kemp inspo. Will be watching! Thank you Amy! We honestly haven’t had a nicely decorated bedroom in many years. We always seem to do the “public spaces” first. 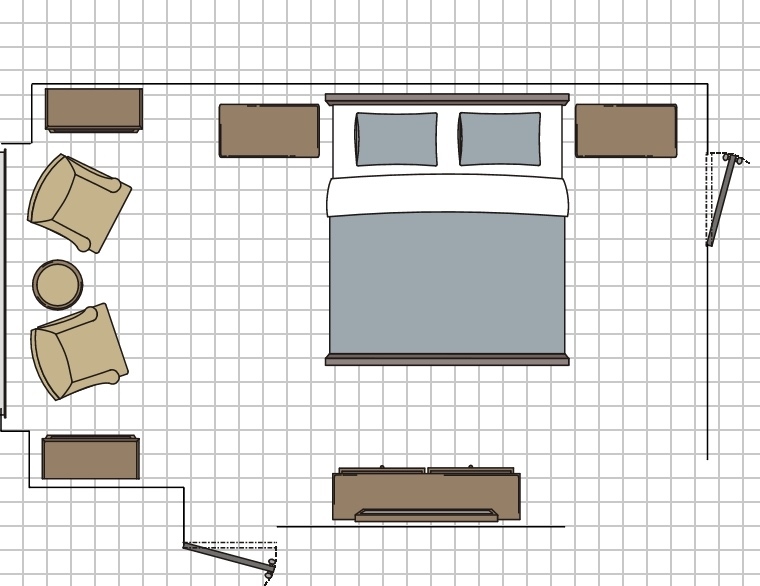 I’m pretty excited about getting the bedroom done first this time. I really love your inspiration images!! 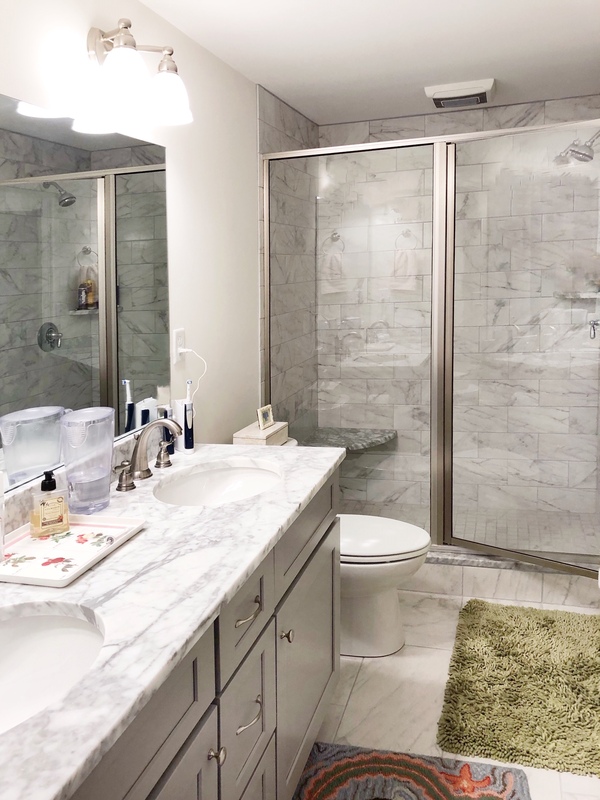 This is a big project to do in just 6 weeks, but it will feel so amazing to have your master suite perfectly done to your liking. It will give you energy to attack the rest of the house. I love Boston! So glad you found this beautiful home. Can’t wait to see more! Thank you so much Albertina! I’m Really looking forward to crossing the finish line, even though it does feel a bit overwhelming at week one. I’m happy to know you are following along. You’re the first post I read and I still can’t believe it’s time to do the ORC. You definitely have a lot to do ahead and I can’t wait to see the final results. It’s going to be fabulous, I’m sure! Hi Marina, I know! I feel like the Spring reveal just happened! I’m not looking forward to the next six weeks but can’t wait to have a finished bedroom. Hopefully all goes smoothly! Linda! 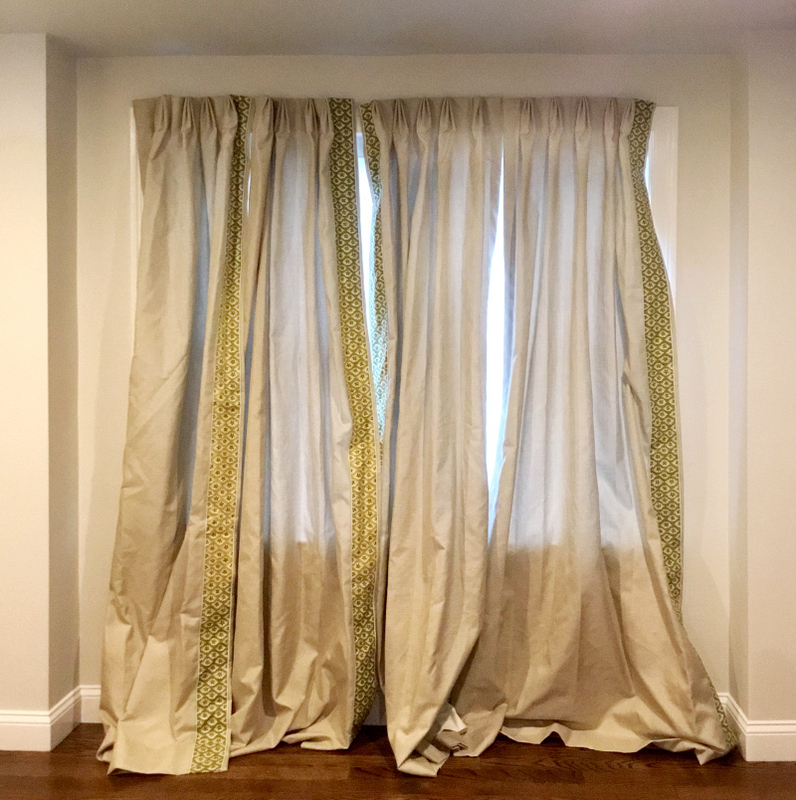 The “current” drapes are killing me! They look like pretty nice panels though. I can not wait to see what you do! Thank you Kelly, yes, I am a bit nervous that everything will get done on time. I think I won’t have much of a life for the next six weeks! Hi Laurie! I love Katie Ridder as well. I tried my hardest to do a “calm and soothing” space but finally gave in to the reality that I love color and pattern. Good luck with your space too! There’s so much potential here! Excited to follow along! Thanks for following! I hope I can pull it off! I cannot wait to see the transformation. I am a HUGE Kit Kemp fan too. This is going to be fabulous. This will be an exciting 6 weeks for us all! Thanks Holly! So thrilled to be on this journey with you again! I so feel you on the before pictures! My master is a sad, sad room too! I love your inspiration- this is going so fun to follow along with! Thanks Ashley! I was so embarrassed to show my before images but then I saw that you were “baring it all” too. I felt a tiny bit better knowing I was in good complex. So happy to find your blog! I love Kit Kemp, too. This will be a fun one to watch. Thank you Alana! Have you ever stayed in one of her hotels? I can not WAIT to see your final space. I know it’s going to be amazing!!! You are so nice Sheri and I thank you for following along! I will definitely need to work on my bedroom. I love the bones of this one, and the bathroom is already fab. Can’t wait to see the closet system because I hate ours. I’m excited to see what you do with such a personal space compared to your last super fabulous public space. Thanks Amy. I will admit at first I was uneasy choosing such a person space but now I am so happy I did. It will be so nice to have one completed decorated and finished space in the condo. Especially since the rest of the unit has a long way to go! Can’t wait to see more! I already love the tile in your shower! What gorgeous inspiration images you have, and a nice big blank slate! Can’t wait to see what you do! 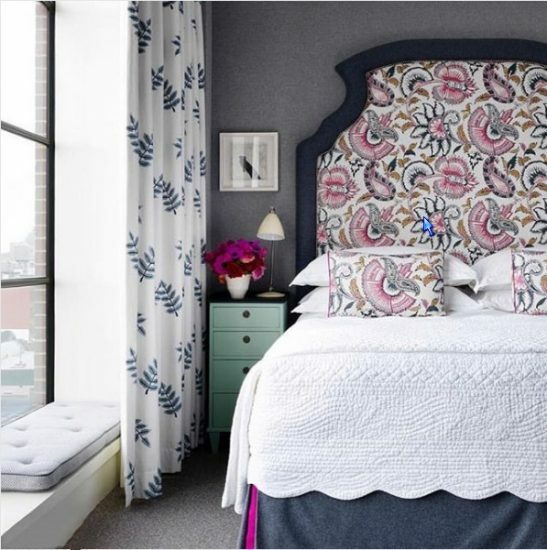 I’m doing our master, as well, and can’t wait to sleep in a beautiful room! Thanks Cate, it has been so many years since I have had a beautiful bedroom that I can’t even count. At least two houses ago! We always put our money and decorating energy into the main living spaces. This is going to be such a treat to have a pretty bedroom. Goos luck to you as well and I will follow along!